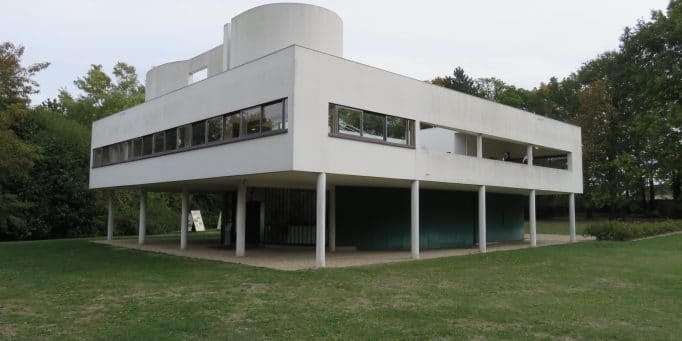 I've always wanted to see the Villa Savoye designed by Le Corbusier in person and I finally got the chance. 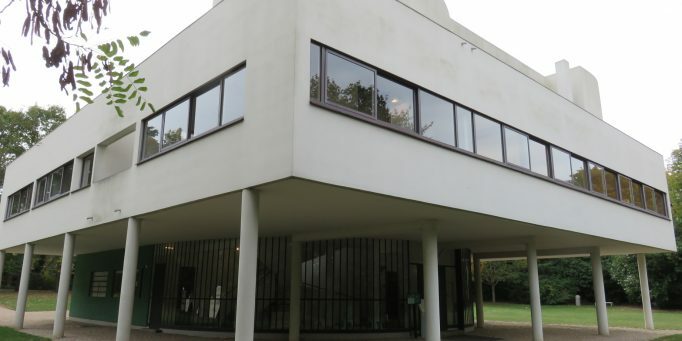 It was well worth the day trip from Paris to see this UNESCO World Heritage Site in person. 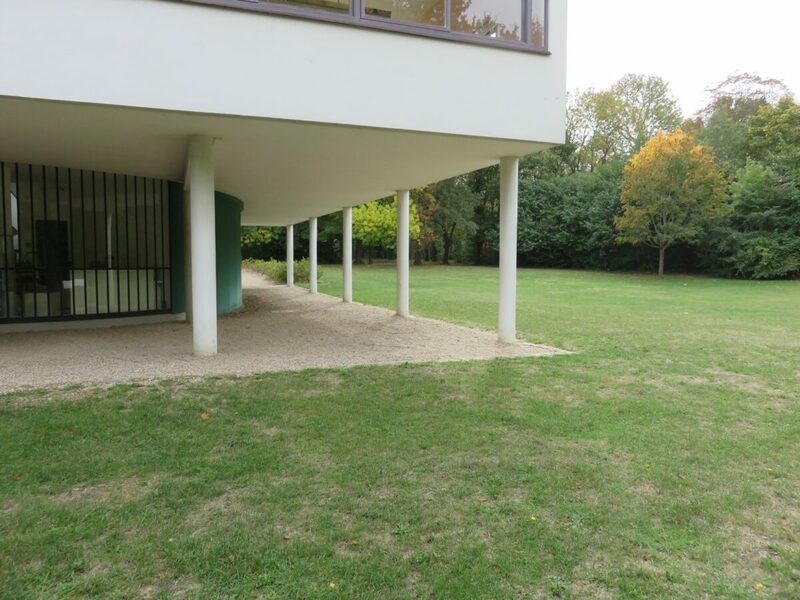 This is an architectural must see. 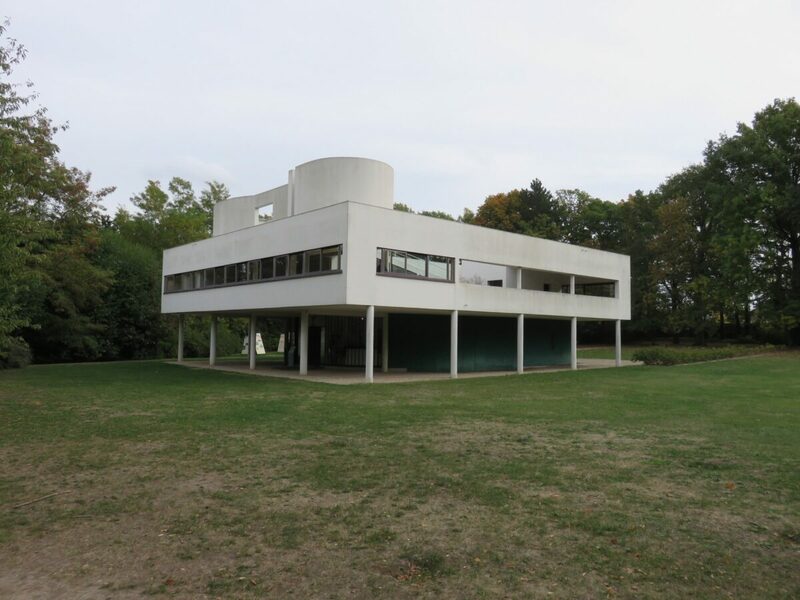 The Villa Savoye is one of the most recognizable and renowned examples of the international style of architecture. 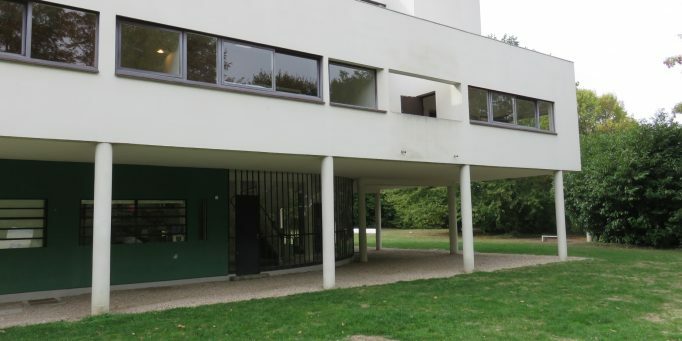 The home was built and designed by Le Corbusier between 1921 and 1931 as the weekend home for the Savoye family. 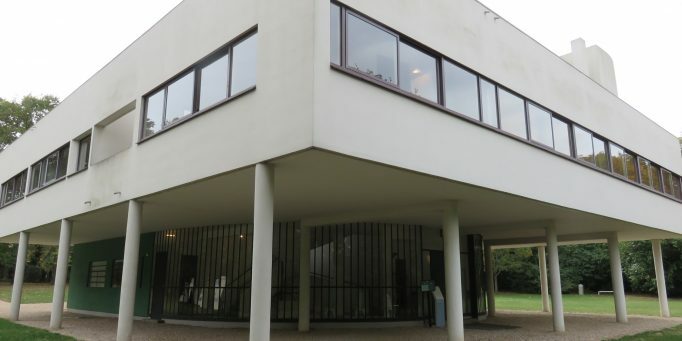 Often referred to as a "box in the air," the villa exemplifies Corbusier's set of architectural principles, "Five Points of New Architecture." 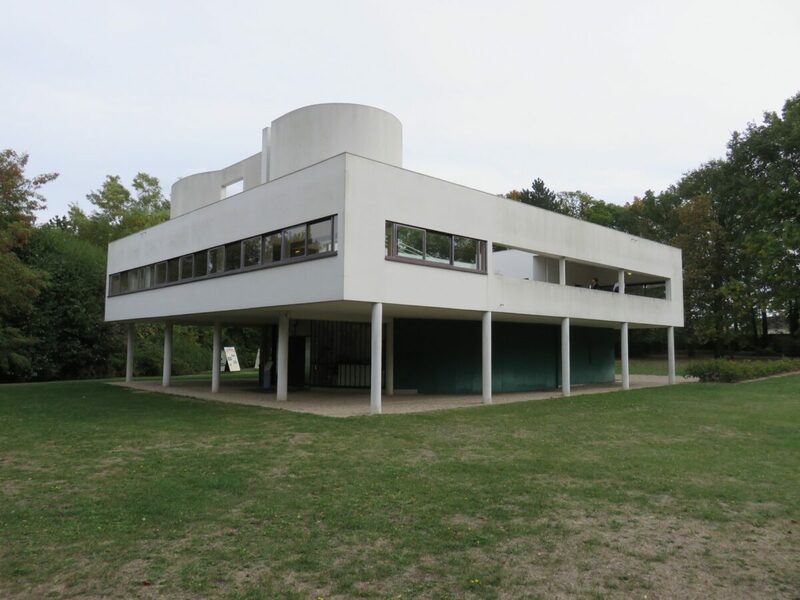 Embracing the five tenets Le Corbusier attributed to his new architectural style - elevated from the earth, with a functional roof, an open floor plan, long windows, and a freely designed façade - it came to symbolize a new way of thinking about architecture. 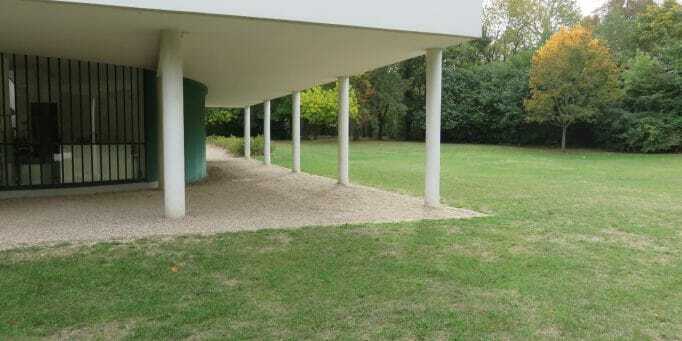 One that broke down social and geographic boundaries. 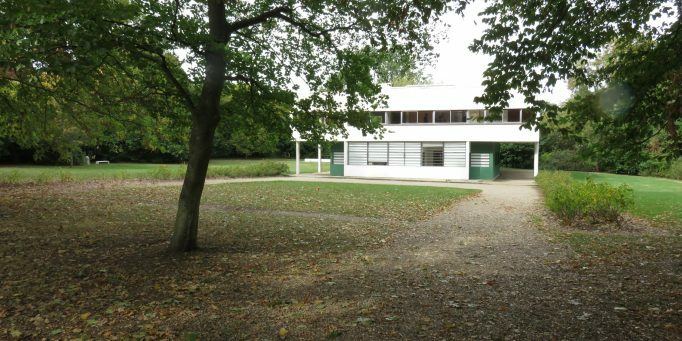 During WWII, the Villa was occupied by both German and Allied troops, causing extensive damage. 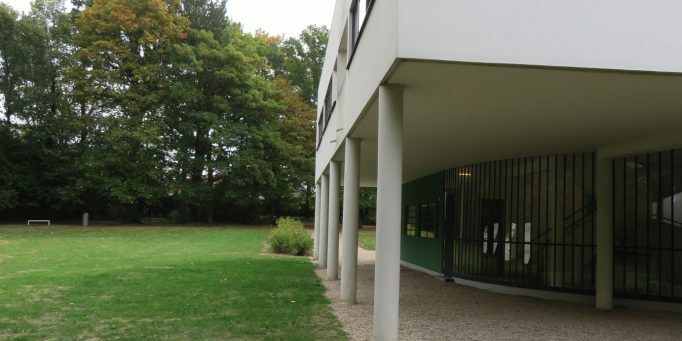 In 1958, the town of Poissy, France bought the property eventually giving it to the French state in 1962. 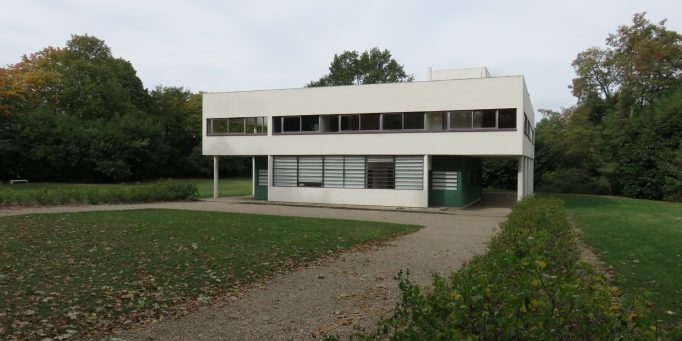 Growing awareness of the Villa's universal value led to its restoration between 1963 and 1997 and its designation as a historic monument during Le Corbusier's lifetime. 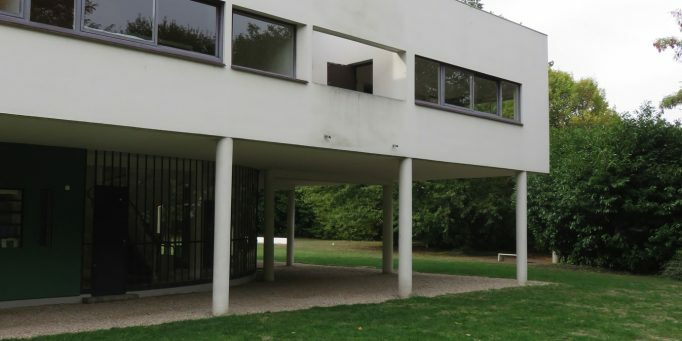 This is a very easy day trip or even a 1/2 day trip from the center of Paris. 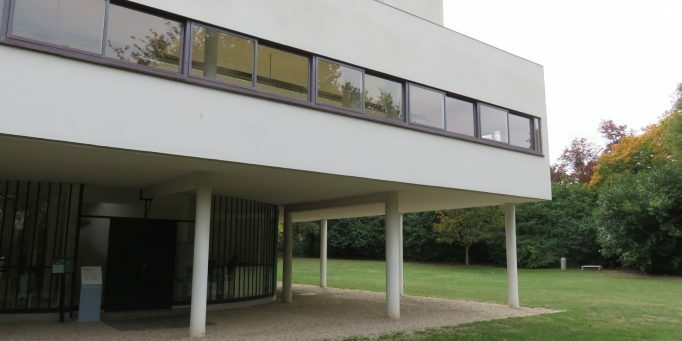 The home, just a 40-minute drive from Paris and accessible by the RER, is open for tours Tuesdays through Sundays. 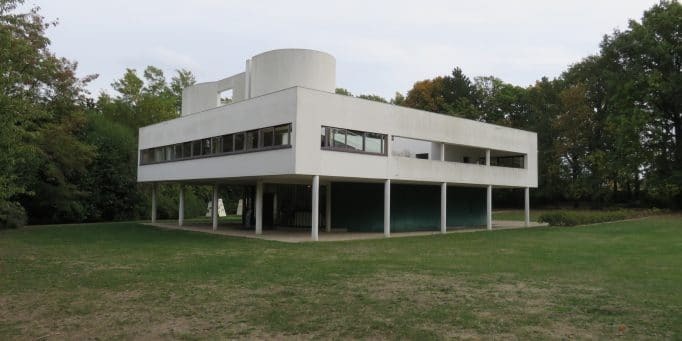 Take the RER line A to Poissy station, then take bus 50 towards La Coudraie to Villa Savoye. 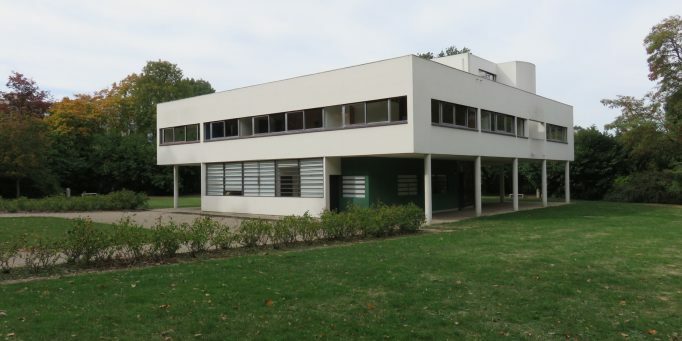 Alternately, Villa Savoye is only a 1-mile (1.6-kilometer) walk from the Poissy train station.